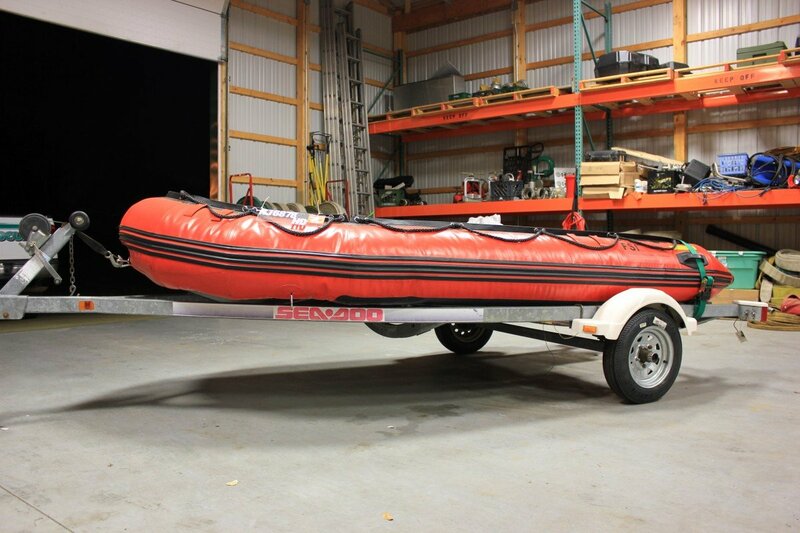 In 2012 Thorofare purchased this 9ft inflatable Zodiac row boat for the purpose of the narrow waterways in which the flat bottom boat has no access. This boat will hold two members to conduct search and rescue of these narrow waterways. The zodiac has been outfitted with a 25 horse power out board motor.